US Gear is a manufacturer of differential and transmission components, everything from hot rods to heavy-duty trucks and military equipment. The superior quality of US Gear products is the result of outstanding design, meticulous engineering and state of the art manufacturing processes perfected over three decades. Our precision racing gears are manufactured in the United States, certified by ISO, and designed to maximize performance and durability. US Gear performance ring and pinion gears exceed the demands of racing professionals and enthusiasts. We consistently deliver high quality gears, quiet performance, clean installation and setup, durability, and longevity. We craft ring and pinion sets in many ratios to help complete your build. With performance gear sets for GM, Chrysler, Ford, and Dana applications, US Gear is the leader in driveline technology. From hard-core racers to weekend hobbyists, our team is dedicated to helping you find the finest high-performance ring and pinion gears. Learn more about how US Gear can help with your next build. Contact our team today and speak with a staff member who has 20+ years of industry experience. We promise to provide the best products and services to our customers without exception. The superior quality of US Gear products is the result of outstanding design, meticulous engineering and state of the art manufacturing processes. US Gear products exceed the demands of racing professionals and enthusiasts. For the selective car enthusiast, US Gear light duty products, formerly sold under the Torq Line brand, have the right stuff to keep you going day after day and mile after mile! This is the highest quality aftermarket replacement available. Ideal for the weekend warrior, our US Gear Strange Pro Street line will handle anything you can throw at it! Made from high quality American materials, this gear set provides the strength and tenacity to compete?and win! Perfect for drag racing, our US Gear Strange Competition gears offer high strength and light weight with the necessary muscle to tame huge amounts of torque on the starting line. Run after run, they take a beating and come back for more! The superior quality of our gear sets is the result of years of development, outstanding design, and state of the art manufacturing processes. US Gear light duty and performance products can be found anywhere a premium product is demanded. 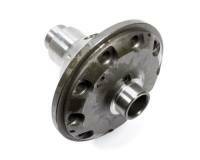 We offer ring and pinion sets in a wide range of ratios for many applications. The gear sets are manufactured to the highest quality standards using state of the art CNC machining and gear cutting equipment, and are heat treated on-site in computer controlled furnaces. Our core products include ring & pinions, shafts, spur & helical gears, and planetary product, including splined hubs.